THE ESSENTIAL NORTHERN SOUL PRICE GUIDE describes this one as ‘Pop Northern Soul’, proceeding to, well, split hairs, describing it and them as “pop records by pop artists (usually white) that have the necessary beat and are recognisable as being non-soul singers”. Huh? One of the things I loved about this single was Gary Pickford-Hopkins’ soulful voice, sounding not unlike Darrell Banks to me. 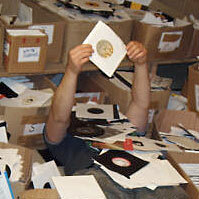 But no worries, I live by that price guide and I recommend it highly. It’s the good book you curl up with in front of the fireplace during a blizzard, but then that’s just me. 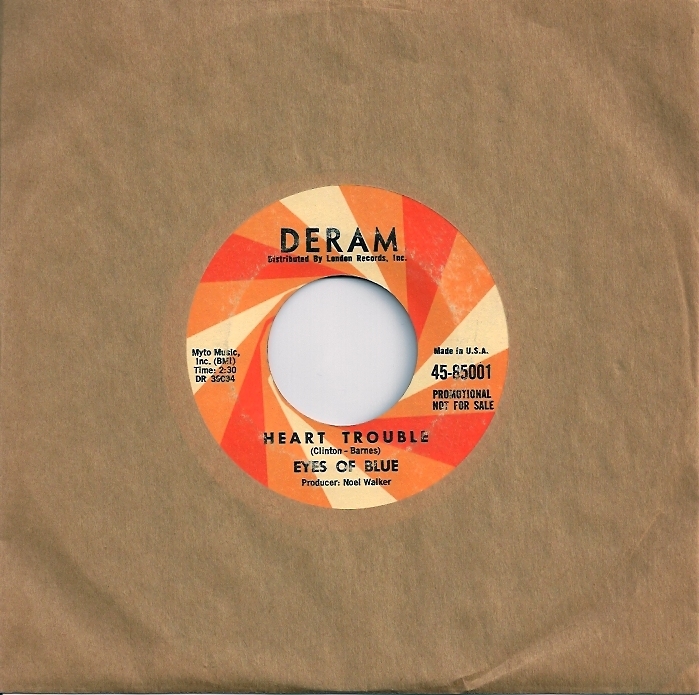 I got ‘Heart Trouble’ upon release, specifically because it was on Deram. Predictably, the record was very English, due in part to the backup vocals and was produced by Deram in house guy, Noel Walker. He had a sound that I liked a lot. In ’72 I got to meet Gary Pickford-Hopkins and talk with him about The Eyes Of Blue. By then he was the vocalist for Wild Turkey, Glenn Cornick’s band after leaving Jethro Tull. Regrettably named, they were good live and I loved their first album, BATTLE HYMN. I think I may have been the only person on earth who did, or at least admitted it. That night Wild Turkey were supporting Black Sabbath and not unusually, I was more into the obscure opening UK band than the headliner. 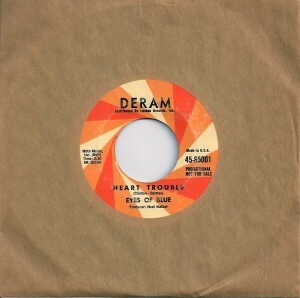 Nowadays, both Eyes Of Blue Deram singles are Northern Soul collectables, listing for $40-60 each. I bought many copies back in the 70′s, all for less than a dollar. In fact one for a mere penny off of Tom Kohn’s Bop Shop. He gave me change for my nickel. I just couldn’t pass them up though. 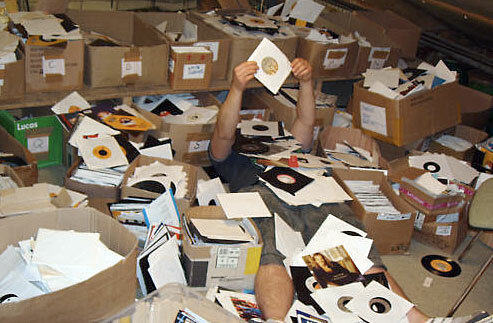 The lesson here is, you can never have enough spares, plus one day…they may be worth something.